Essential oils are everywhere. From the Dollar Store, to Target, to your local health food store. How do you know what ones are 100% natural when the price varies so much and on all the labels they say “100% natural” and, does it matter? Here are the facts. The FDA has approved that any oil can be labeled as “100% natural” if at least 5% of the oil in the bottle is pure oil. The rest? Filler oils, various chemical compounds, fragrances and other harmful toxins can be added to the bottle to make them “smell better” or allows them to be sold for a much cheaper price point. Because of this, you want to be super cautious about what you buy, and how you plan to use that oil. You should never put an essential oil on your skin without doing your background work, because filler chemicals can be harmful, and who wants to distill bad-for-you chemical compounds?! One company that you can trust is Young Living. Young Living’s oil has 100% pure oil in every bottle with NO fillers. Because they are 100% pure they are very strong and work very quickly. They’re also the only company that has a Seed to Seal promise, which means they control the production of their oils (without the use of harsh chemicals) from the time they are planted, distilled and distributed. Some oils are considered ‘hot oils’ which means they are stronger and have the potential to irritate your skin. (Examples of this include: Cinnamon, Clove, Lemongrass, Oregano, Thyme, Exodus II™, and Thieves®.) For some people, Peppermint's cooling sensation can also be too intense. It’s always a good idea to read the label and dilute hot oils using organic coconut oil (or another organic oil) to reduce their potency. A simple guideline is to mix one drop of essential oil with a dime size drop of coconut oil. The same thing applies to using any essential oil on babies and kids. One of the first ways people start to use essential oils is for aromatherapy, but did you know essential oils (like tea tree and eucalyptus) can actually help to clean and purify your air!? 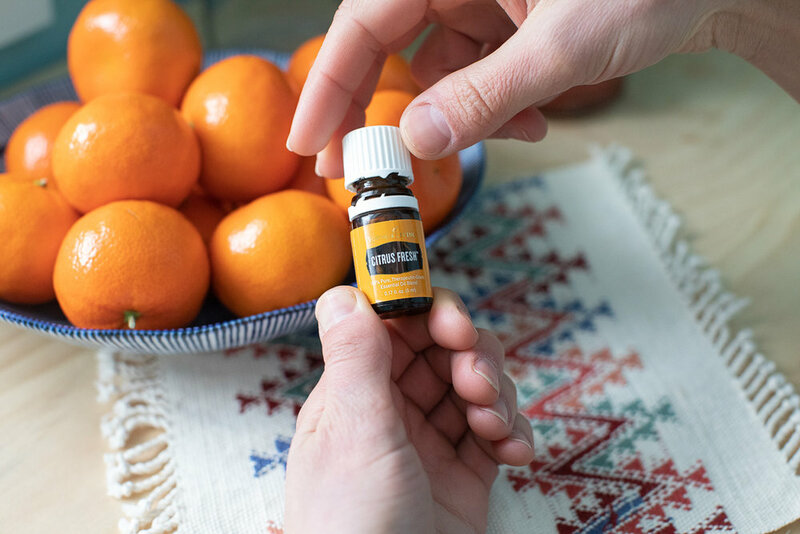 Diffusing essential oils allows for a slow and steady stream of benefits, keeping you motivated and energized during a long day at work, helping you relax at night, or even helping you breath easier when you’re sick. Another way to use oils is right on your skin. Essential oils have amazing therapeutic benefits and are believed to help every area of your body including: your respiratory system, brain function, mental health, skin, immune system, and even every organ in your body! When used correctly, essential oils will change your life by keeping your mind and your body well. If you are curious to know more please reach out to me with any questions. I love to chat essential oils!